Allis x 2.jpg, originally uploaded by thejesse. 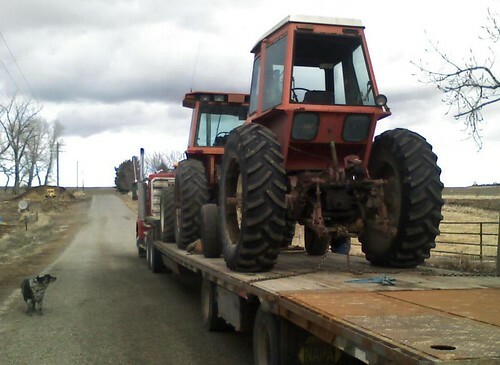 Two Allis Chalmers tractors going off for repairs. The one in front requires a major overhaul thanks to a defective air filter. The rear one has a broken input shaft in the transmission. Maybe it's time to update the fleet?